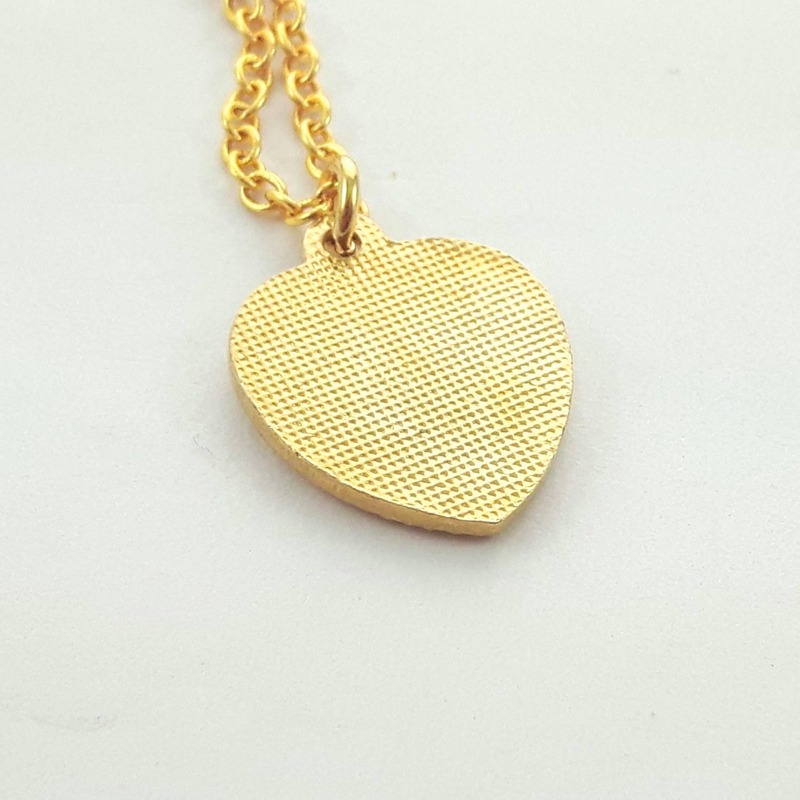 Tiny Enamel Heart Charm on an 18k gold filled chain. Beautiful Periwinkle Blue, Crimson and Burnt Orange Cloisonne. 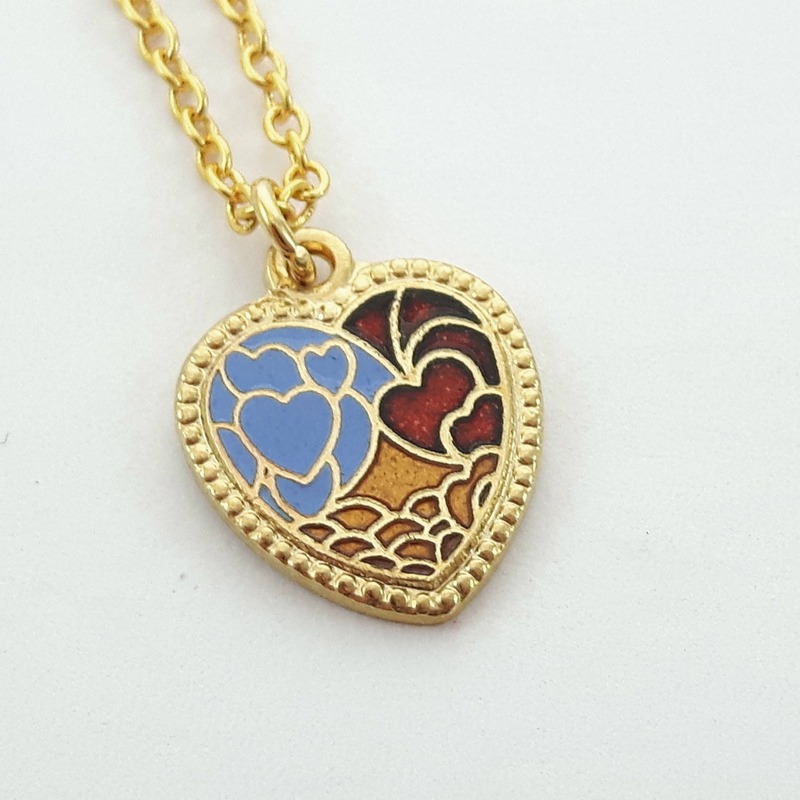 Pendant Material: Gold Plated Brass and Enamel. 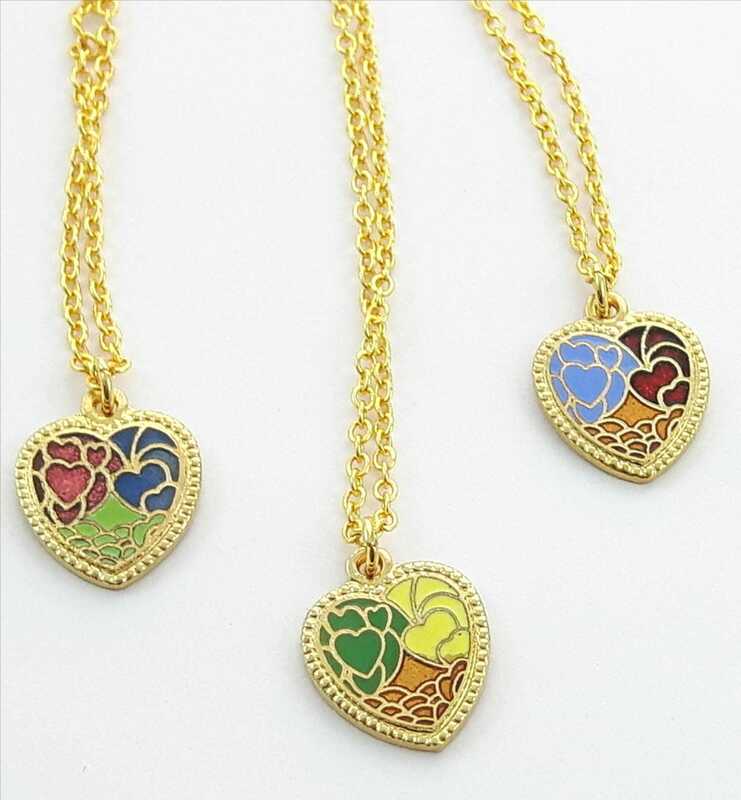 Chain: 18k Gold Plated Chain.